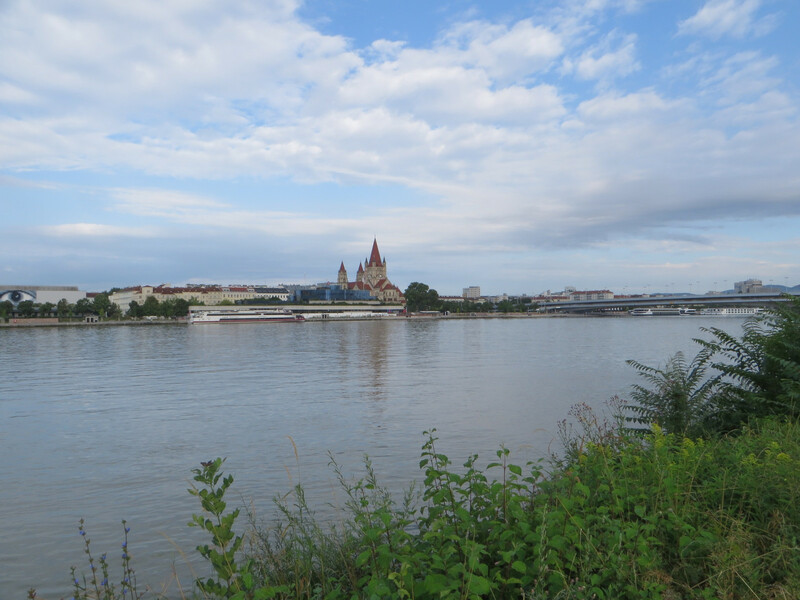 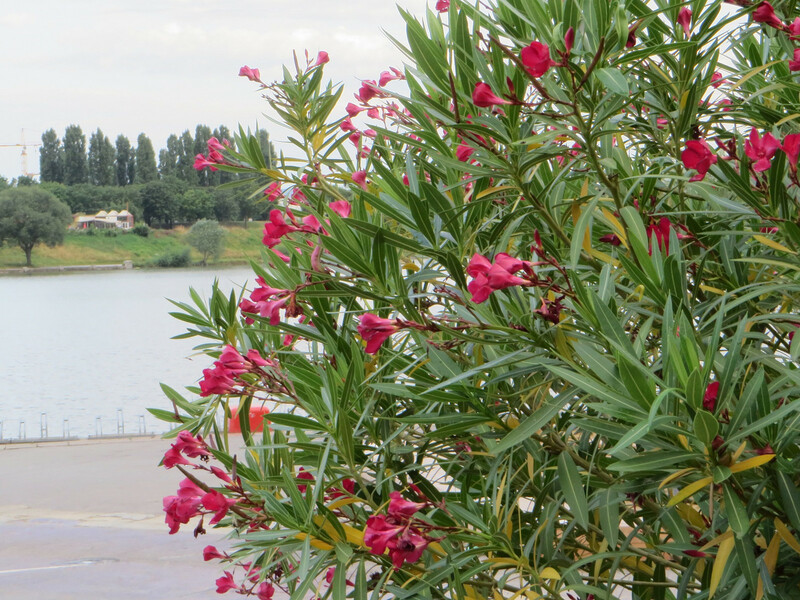 I could have a short walking along Donau river at early morning during stay in Vienna. 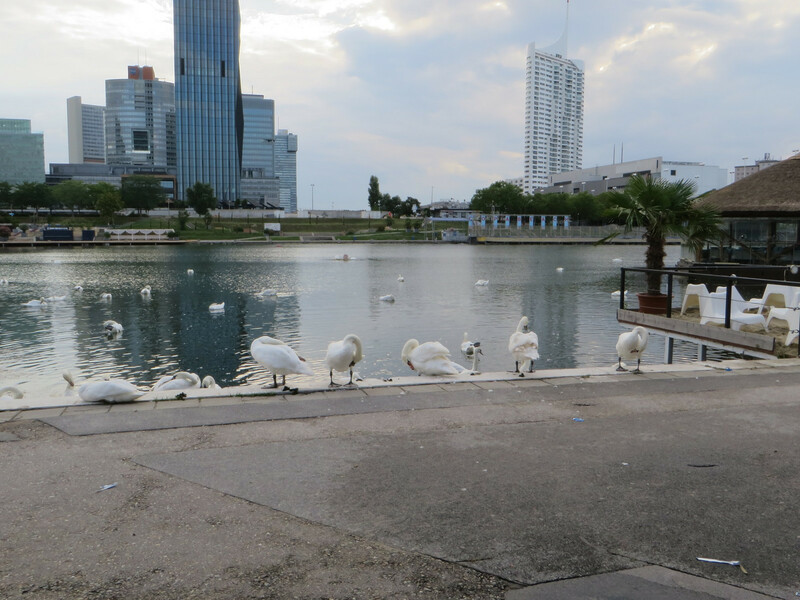 Swans are relaxing on a bank of the river. I found a dog was playing and swimming this his master. 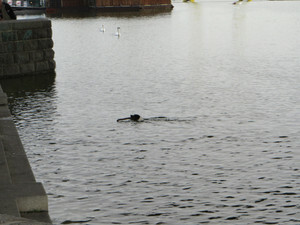 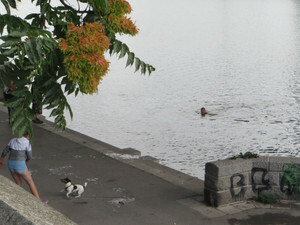 And I found another dog swimming... no, no, a man was swimming! 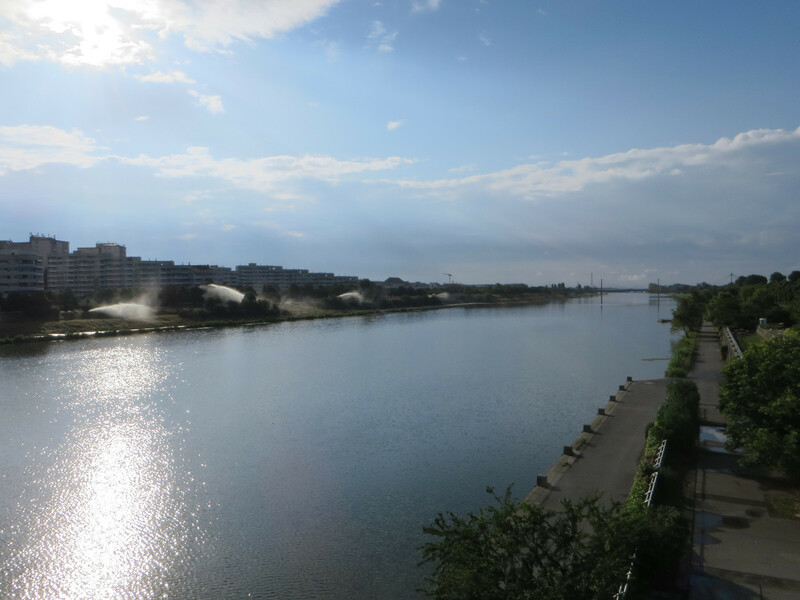 I was able to refresh myself by seeing a great river.